The Big Wobble: 279 volcanic earthquakes in 24 hours hit Mt. Kanlaon volcano in the Philippines as officials urge residents to prepare for emergency evacuation. The Philippine Institute of Volcanology and Seismology (Phivolcs) raised Tuesday the alert level over Mt. Kanlaon in Negros Occidental from 1 to 2 after it showed an intrusion of magma that could lead to the volcano's eruption. In its 9:45 a.m. bulletin, Phivolcs said it raised the second level in its 5-step alert system because the active volcano is "undergoing a moderate level of arrest." "There is a probable intrusion of magma at depth which may or may not lead to a magmatic eruption," the agency said. Phivolcs added that 279 volcanic earthquakes were recorded in Kanlaon in the last 24 hours. The earthquakes there have continued to increase since August 18, when Alert Level 1 was hoisted over Kanlaon, Phivolcs noted. Ma. Antonia Bornas, chief of the Phivolcs Volcano Monitoring and Eruption Prediction division, said the public should not be alarmed over the upgraded alert level, which only urges residents and local officials to prepare for emergency evacuation. 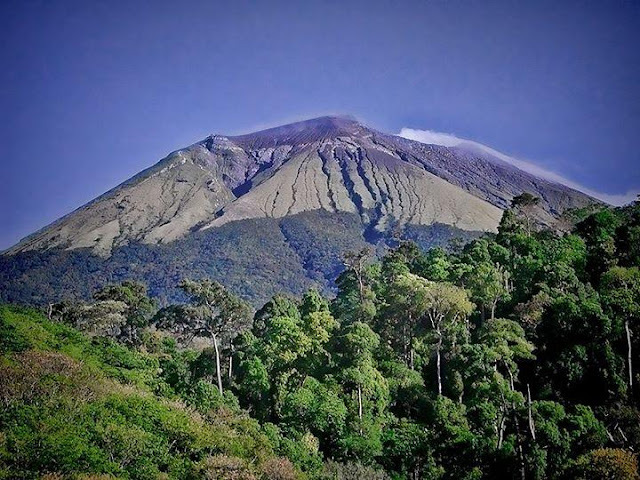 Phivolcs said the public may not enter the 4-kilometre radius Permanent Danger Zone due to possibilities of sudden and hazardous steam-driven or phreatic eruption. Phivolcs also advised civil aviation authorities and pilots to avoid flying close to the volcano's summit as sudden phreatic eruptions or steam-driven explosions can be hazardous to an aircraft. In June last year, Mt Kanlaon erupted ash and steam more than a mile into the Philippine sky.